“Renowned marine life artist Wyland (Robert Wyland )changed the way people think about our environment when he started painting life-size whales on the sides of buildings in the 1980s. Wyland always thought big. And he never stopped. Today, the Wyland name has become synonymous with the new generation of awareness about environmental conservation. 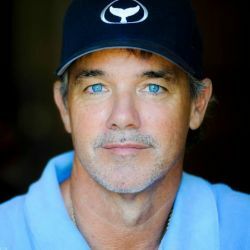 Through his unique marine life paintings, sculptures, and photography, Wyland has inspired a generation about the importance of marine life conservation.